Husqvarna equipment development never stops. 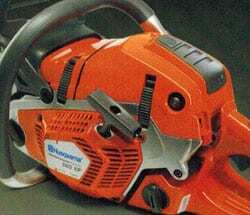 Husqvarna strives to improve its consumer chainsaw products to give home owners the best combination of cutting power, performance and design to meet your consumer expectations. 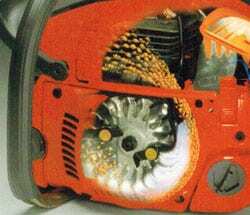 Husqvarna has been providing consumers with great value and ease of use for decades. That is how they became the world’s largest producer of outdoor power products. Due to new factory policies – We are no longer allowed to show discounted pricing on the websites – please call us or stop by to get the best price on all your Husqvarna needs. We are your Husqvarna Super Store. Our chainsaw development never stops. 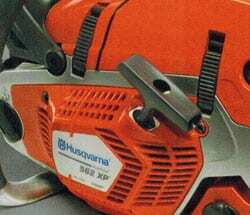 Husqvarna strives to improve its consumer chainsaw products to give home owners the best combination of cutting power, performance and design to meet your consumer expectations. 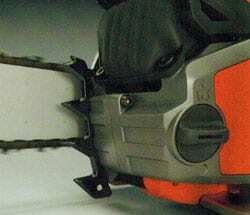 Husqvarna chainsaws have been providing consumers with great value and ease of use for decades. That is how they became the world’s largest producer of outdoor power products. Gamka is an Authorized Husqvarna Dealer. We are a Certified Repair and Warranty Center for Husqvarna. Call us at 732-248-1400 for the best prices on Husqvarna Equipment. The X-Torq Technology reduces exhaust emissions by up to 75% and increases fuel efficiency of by 20%. Your work will become more comfortable as well as more economic. 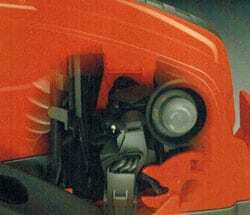 Enables optimal engine performance through a digital tune carburetor. It compensates for different fuels, altitude, humidity, temperature and clogged air filter. Rapid acceleration and higher change the for best limbing performance. Quicker, smoother and easier operation. The engine and starter have been designed so a machine starts quickly with minimal effort. Resistance in the starter cord is reduced by up to 40%. A centrifugal air cleaning system for reduced wear and longer operating time between filter cleaning. You will be able to work longer shifts with less effort. Effective anti-vibration dampeners absorb vibration, reducing the impact on the user’s arms and hands. For a comfortable operation. Part 1 of 6: Chain saw Intro. Watch this series of how-to videos featuring safety, fuel & lubrication, bar & chain, starting and air filter instructions. Part 2 of 6: Chain saw Safety. Watch this part of the series of how-to videos featuring safety. Part 3 of 6: Chain saw Safety. Watch this part of the series of how-to videos featuring fuel & lubrication. Part 4 of 6: Chain saw Safety. Watch this part of the series of how-to videos featuring bar & chain. Part 5 of 6: Chain saw Starting. Watch this series of how-to videos featuring starting procedures. Part 6 of 6: Chainsaw Starting. Watch this part of the series of how-to videos featuring air filter instructions. Always refer to your owner’s manual for reference and complete instructions on maintenance and operations. Gamka is an Authorized Husqvarna Dealer. We are a Certified Repair and Warranty Center for Husqvarna. 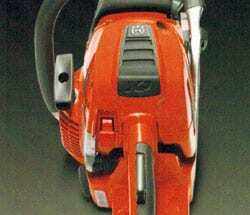 Call us at 732-248-1400 for the best prices on Husqvarna Outdoor Power Equipment.